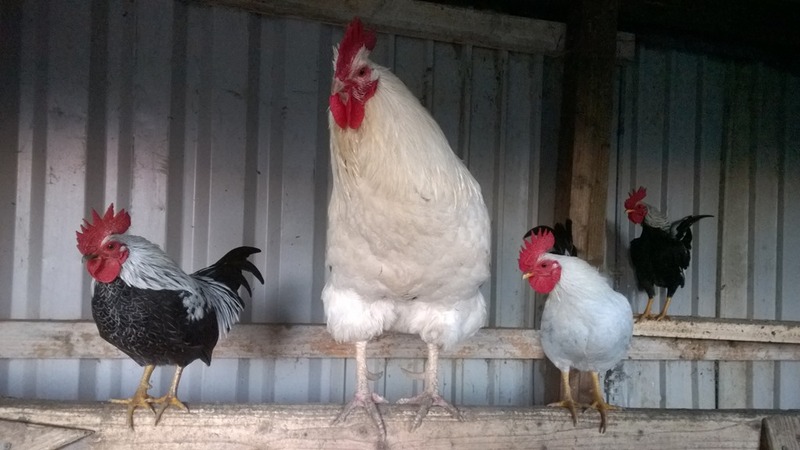 These three friend roost together every night , despite the difference in size they are great pals. They are always in this position wit Mr Graham in the middle . Wonderful To see such friendship. They started roosting together after a few days of being in the same housing area. There are 14 other cockerels in this shed at Back into Daylight Animal Sanctuary.